Women of all abilities are welcome to attend our Women’s Only Class! Out of public view, women train in a welcoming, safe, and active learning environment. For your added comfort and privacy, Academy doors are locked during this class time. 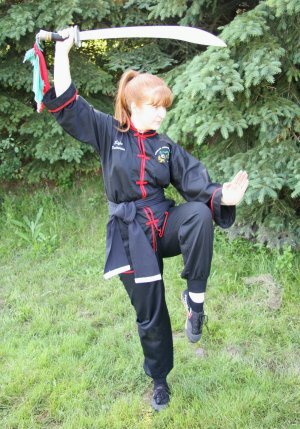 Classes are taught and assisted by experienced female instructors. Participants learn the WKFA Shaolin Five Animal Kung-Fu curriculum, which includes self-defence, kung-fu techniques, and kung-fu forms. Over time, women progress through the curriculum at your own pace and ability, developing flexibility, fitness, focus, confidence, and skill. Pre-school children are welcome to come and watch on the sidelines or play in the waiting room. Mothers are welcome to tend to your children as needed. Whether you wish to train once a week in the Women’s Only Program, or in addition to the WKFA Adult Mixed Program, women of all abilities are welcome to attend this Women’s Only class! Please join us on Friday mornings: doors open at 9:45am and doors are locked while class is conducted. Fees for this program are included in the current Adult Mixed Program pricing. For women attending only the Women’s Only Program, we offer once-per-week three-month memberships. If you wish to come and try a class for free, or have further questions, please contact the Waterloo Kung-Fu Academy. You are most welcome to join us! Women’s Classes run September – June. Doors open at 9:45am. Doors are locked 10:00am – 11:00am while class is conducted.